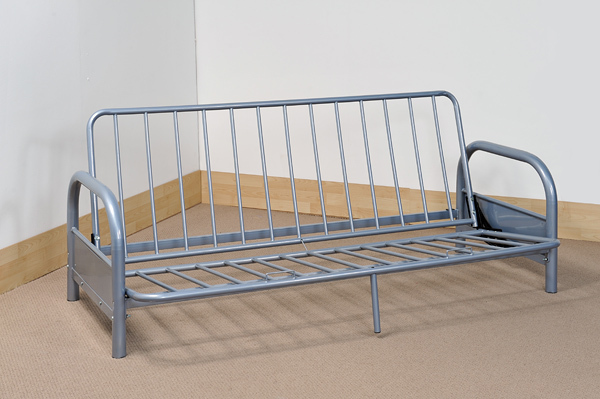 Great for that unexpected guest and ideal for children's bedrooms or conservatories. NOTE: IMAGES SHOW THAT SUPPORT LEG IS ROUND WHEN IT IS A RECTANGLE SHAPE. The internal structure of this product is made using tubular metal which allows it to be light weight though more importantly sturdy and strong. By having 2 metal segment parts to the frame, you can save space when using it as a sofa as the structure easily folds together with its durable metal hingles. 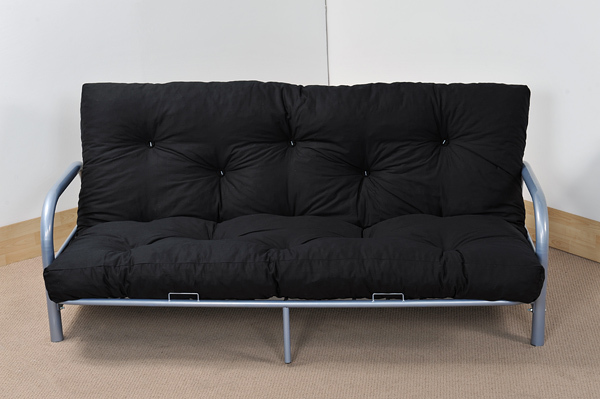 When this futon frame is converted into a sofa, there is space for three to sit comfortably and relax. 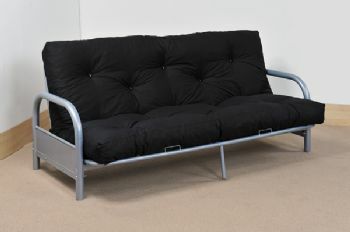 This product can be bought along side our very own futon mattress which is made for this Bi Fold sofa bed and comes in several different colours. This mattress is made in the UK and conforms to all British fire regulations. 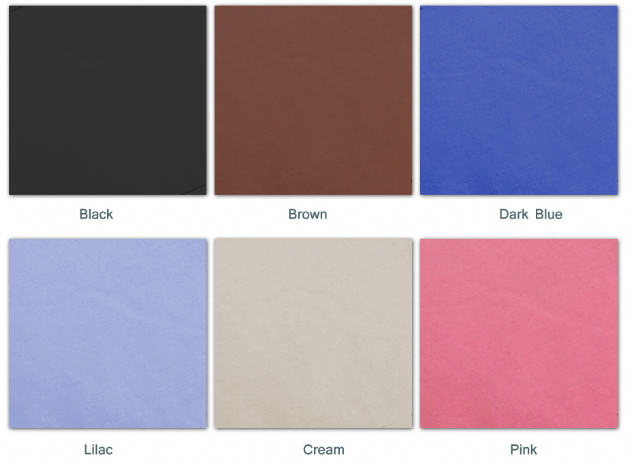 Our futon mattresses offer superior comfort compared to traditional futon mattresses. These foam flakes allow for a softer and spongier feel. This product comes flat packed for quick and easy transport. This will require assembly and fixtures are included with the product. Futon mattress is vacuum packed and rolled and may require up to 72 hours to full expand once opened. 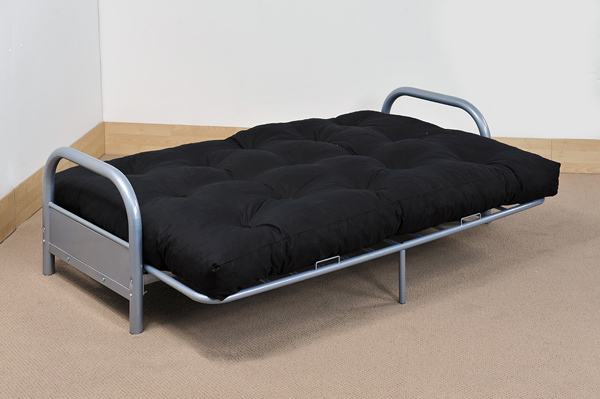 I bought one of these eleven years ago and it is still in regular use as a double bed. We have bought a new mattress since then, but it is an ace bed!